How many of your phone's pre-installed apps do you actually use? "Bloatware," as it's called, is a bane for smartphone owners everywhere. It takes up space and eats up battery life and data, and more often than not can't be deleted. Thankfully for one nation's consumers, that's all about to change. Unfortunately for the bloatware-loathing rest of the world, the changes won't impact our phones. 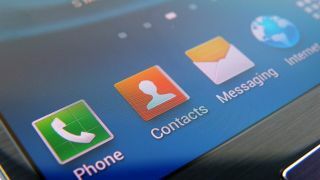 South Korea's Ministry of Science, ICT, and Future Planning has ruled on new guidelines that will require smartphone makers to allow users to delete unnecessary pre-installed software. In a Korean-language press release the ministry said the new rules will give consumers more battery life and storage space on their gadgets. The new rules go into effect beginning in April. Not all pre-installed software will be required to be deletable, however. For example, phone's app store or app marketplace app will be required. Other types of apps that will still be mandatory include apps related to NFC, Wi-Fi, and customer service. Still, this is great news for customers whose new phones currently come with dozens of non-deletable apps pre-installed. This could cause issues in the future with customers deleting certain apps and then having no way to re-download them later, though it will be up to phone makers to address that themselves. Meanwhile we can hope that similar regulations make their way to other countries eventually. The latest Motorola flagship is here - read TechRadar's Moto G review for the full scoop!